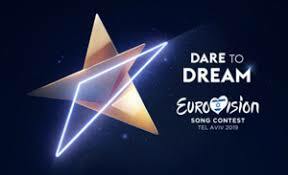 Word on the street (or the Rehov) is that Madonna might perform at the Eurovision 2019 Song Contest in Tel Aviv in May. The show is being produced by KAN, the Israel Public Broadcasting Corporation. Recently, Madonna performed with her son in Manhattan at an impromptu visit to The Stonewall Inn bar. Speaking of the stage, there was much news about Steven Spielberg selecting a teenager from Clifton NJ who will play Maria in his film version of West Side Story, screenplay by Tony Kushner. But in even bigger news, an actual teen will play Evan Hansen on Broadway. Andrew Barth Feldman, 16, of Nassau County, Long Island – a winner of last year’s JIMMY Award – as the best high school actor – will take on the title role in two weeks. Other actors in the role have been Ben S~Platt, Taylor Trensch, and Noah Galvin, all in the mid-to-late twenties. The Forward will suspend its print edition. A print publication of over 120 years (may you live to 120) it will now only post stories online and lay off about 40 percent of its editorial staff — including editor-in-chief Jane Eisner. One source said that the publication is losing $5 million a year. Also laid off will be digital director David Goldiner, design director Kurt Hoffman and Kathleen Chambard, vice president of marketing. Did you hear about the South Florida politician who said that a Muslim-Palestinian-American congresswoman from Michigan might blow up Capitol Hill in Washington? Condemnation and rebuke by me and others were swift against her idiotic and racist comments Hallandale Florida Commissioner Annabelle Lima-Taub told People magazine that she stands by her comments. Or the arrest this week in England of a 21 year old who blamed Jews for his unemployment and planned to conduct a mass attack on Easter football games in his town. Also this week, THE BBC reported on the director of the Prague Jewish Museum who has been looking down at the cobblestones and noticing that Jewish headstones were used to pave Wenceslas Square. NYC Mayor de Blasio held an Interfaith Breakfast on January 17 (see below). Tony Marx, the leader of the New York Public Library, the host of the breakfast, opened the event by quoting Luke 2:1-5 (the census ordered by the rulers of Jerusalem) and indirectly trying to criticized harsh centralized governments. The next speaker was Reverend Michael Walrond of First Corinthian Baptist Church of Harlem who front stabbed the POTUS by calling him a pathological narcissist. The MC was comedian, radio show host Rabbi Joe Potasnik, who brought down the house with a nun joke and asked if anyone in the room was NOT running for NYC Public Advocate in February (there are currently nearly 2 dozen candidates). Seven members of the clergy then offered invocations, including Imam Khalid Latif, the Executive Director and Chaplain for the Islamic Center at New York University (who prayed for fair wages, and for New Yorkers to work for what is right and not what is just profitable, and not seek to exploit others); Rev. Dr. TK (Kenjitsyu) Nakagaki of the Buddhist Council of NY and the Peace/Reconciliation Council of NY (who discussed four L’s, two of which are Luck and Love); Ramaswamy Mohan of the Hindu Temple Society of North America in Flushing, Queen (who recited in sanskrit a prayer about the duty of the society to give at the right time and right place about the Mayor’s Pre-K preschool initiative); Rabbi Menachem Creditor of the UJA-Federation New York garnered applause (referring to Pittsburgh, Charlestown and countless untold stories of attacks, he prayed to HaKadosh that New Yorkers follow the leaders of the city to pursue love, fight gun violence, seek each other’s welfare, and fight the abuse of power, hatred, and animosity; Those who sow in tears, reap with joy); Sorabjee Kar of United Sikhs of Queens (wishes for the welfare of all humanity), Rev. Susana Rivera-Leon of the Latino Pastoral Action Center (who thanked god for reforming affordable housing, criminal justice reform progress, wage reforms, and the end of stop-and-frisk. She also called on harder work on immigration reform, social justice, exclusion, oppression, and criticized the occupant of La Casa Blanca); and Rev. Que English of the Bronx Christian Fellowship Church prayed for (transparency, bridges (not walls), peace, and love). Rabbi Potasnik then told another joke about getting into Saint Patrick’s Cathedral to teach a lesson about how the faiths work together and open doors for each other in NYC, especially after Pittsburgh. Potasnik then joked about going to Yeshiva University with the next speaker, Elder Archbishop Demetrios Trakatellis of America, the current elder archbishop of the Greek Orthodox Archdiocese of America and Exarch of the Atlantic and Pacific Oceans (he received his PhD at Harvard, not Yeshiva). He was followed by Monsignor Kevin Sullivan, in his 18th year as Executive Director of Catholic Charities of the Archdiocese of New York, who prayed for winning March Madness bracket picks and having faster subways in addition to other items, such as love. Rev A. R. Bernard of Brooklyn’s mega, Christian Cultural Center, spoke, and was followed by Senior Rabbi Sharon Kleinbaum of Manhattan’s Beit Simchat Torah LGBTQAS synagogue. She spoke of Moses, leadership, and the move from slavery to freedom, and the need to see the future of could be and might be when people work in unity… as well as how the First Lady McCray of NYC is a leader like Moses, Eleanor Roosevelt and Hilary Clinton with regard to her work on the stigma of mental illnesses. McCray followed with a speech on the clergy being the front line in the fight against mental illness, and she promoted her pledge cards on each table for clergy to commit to helping with her cause. The Mayor then spoke adolescently about his iritation with the White House and Albany, and that New York City was better than other places since it knows a better way. Sounds more like he was justifying his future candidacy than a prayer breakfast. Shockingly, he received only light applause when he mentioned his ideas for universal health coverage in the five boroughs. Speaking of health covereage, there was no mention of the pandemic of MEASLES among Jewish people in New York City, NY State, and New Jersey. In the last two months of 2018, New York State faced the most severe outbreak of measles in decades, with 182 cases, almost exclusively among ultra-Orthodox Jews. 162 of the cases were in the area of Monsey, NY in Rockland County. Health officials in New Jersey, mainly near Lakewood, NJ, reported 33 measles cases, nearly all among Orthodox Jewish residents. Within those communities there has been a lack of vaccinations, in some areas, ultra Orthodox Jews have rates of vaccination under 50%, compared to over 92% among the general population. Ninety percent of unvaccinated children near a child with measles, or breathing – within two hours – in the close vicinity to an infected child will contract the illness. ← Previous Story TJS Who is Rav Mike Feuer and why is he telling the Jewish Story? Next Story → Can AeroMexico’s DNA Discount Work for EL AL?